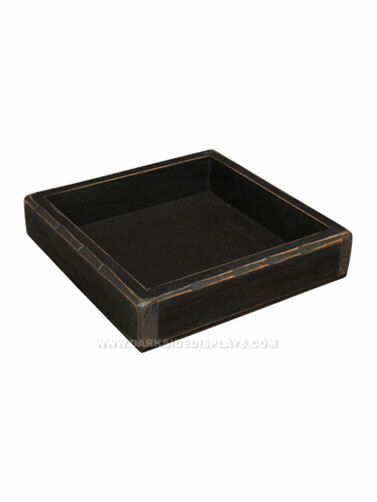 Create a primitive candle display with this black wooden candle box. The flat base is great for displaying candle lamps or pillar candles. Wooden box has been painted black, and then distressed for a primitive look. Black Candle Box measures 7" x 7" x 1.5"H.